On April 27th, the FAA will begin to release their first set of UAS facility maps. These maps, which will be released over the next twelve months, show drone operators which areas, and what altitudes a drone can be safely operated. Further, these maps will be downloadable on mobile devices with customizable views. 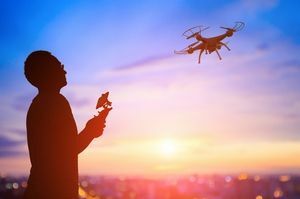 Besides guiding drone operators, the newly released maps will also help the FAA in increasing the speed at which they process drone waiver applications. With the introduction of these maps, it is still important to keep in mind that they do no automatically grant authorization, but may possibly increase the likelihood of approval. These maps can be found at the FAA website beginning April 27th. Even with the introduction of the new maps, drone operators must still apply for any and all waivers at the Waiver/Airspace Authorization Page. Keep in mind the average turn-around time for waivers is approximately 96 days. Drone operators seeking any waivers are advised to apply 120 days in advance. For a reminder of what regulations can be waived check here.